In challenging times, you need to rely on your partners more than ever. ID Medical is proud to be the sort of partner you can count on. From on-site support to technology solutions that can radically change the way you see your staff data, we are here to help you tackle challenges and achieve goals. As the UK's leading healthcare recruitment agency, you can be confident that when you work with us, you'll get more than just a workforce supplier - you'll get a partner. For the supply of multidisciplinary temporary and permanent staff, which includes locum doctors and locum GPs, agency nurses, midwives and healthcare assistants, Allied Health Professionals and Health Science Workers and Paramedics. ID Medical is well-versed in supporting the NHS and private medical providers with the supply of locum staff. As a multi-discipline recruitment agency, we recruit doctors, nurses, GPs, health science and allied health professionals of all grades and specialties - including paramedics and mental health staff. Covering all key medical professions that are vital to NHS trusts makes us a full-service front-line workforce partner you can rely on. 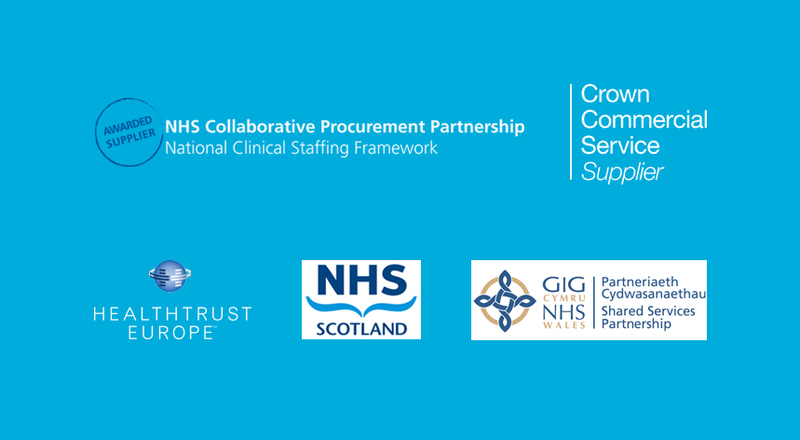 We work with the NHS on Government Frameworks at various contract levels, from Master Vendor and Managed Service to Tier 3. We even have our own unique solutions that cater specifically for individual trusts needs. Fitting a square peg into a round hole is never going to be a long-term sustainable solution. Instead, our Client Engagement team works with trusts to build a solution that works for them. Our locum doctors division has access to thousands of ready-to-work doctors waiting to fill your locum jobs. Get in touch today and let us support your workforce requirements. With a Permanent division who specialise in recruiting doctors and nurses across the UK, Europe, India and the Philippines to fill permanent full time positions to NHS client's requirements. Whether you are a Trust looking for international or UK/EU candidates for your permanent vacancies to support your workforce, ID Medical has a database of thousands ready to work. Tell us your requirements and we'll work with you to find the right doctors and nurses to keep your hospitals full of substantive workers.